Q3 developed smart contracts for a leading client in the retail supply chain industry. 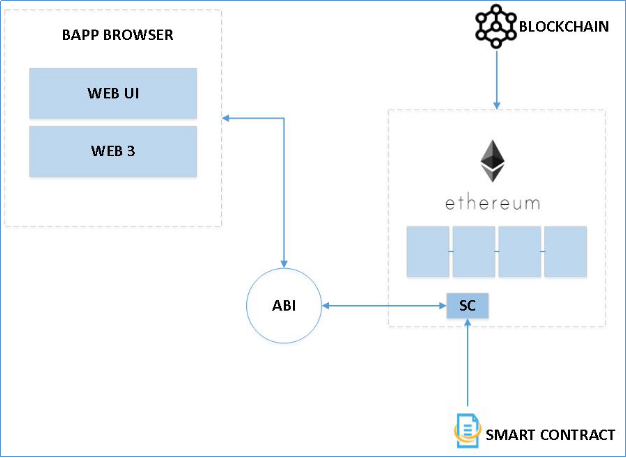 The smart contract contains the representation of every product in the supply chain. This keeps a track of actions being made by the Ethereum accounts. The client is Australia’s largest providers for order fulfilment services. It specializes in running large warehouse operations for its clients as well as e-Commerce, Online retail, multi-level marketing, direct marketing and Omni-channel retailing. The Client primary offering includes fast, accurate and cost-efficient warehousing, inventory management and pick & pack services. The retail supply chain management industry is one of the most dynamic and fast-paced industries. The current applications & warehousing operations will not be able to match up with the growth of the industry as it has performance and scalability issues along with concurrent manual processes. The delay and conflict in information cause a huge loss in sales, leading to loss of revenue. Delays and errors in tracking the entire life cycle of shipments starting with the purchase order acknowledgement to the final receipt of goods in the warehouse are amongst the biggest problems faced by customers in the supply chain scenario. The shipment tracking process involves tracking a cross-border shipment from its initiation, in the form of a purchase order, to its final state in the form of its receipt in the buyer’s warehouse. The objective is to track all the changes of the shipment and inform all related parties about the changes. The smart contract contains the representation of every product in the supply chain. This keeps a track of actions being made by the Ethereum accounts. The community in-charge of a supply chain can register these accounts as official supply chain product handlers, thus storing their identity in the Blockchain. This makes it impossible for fake producers or suppliers to cheat and sell products under the name of a registered brand. Smart contracts based on blockchain technology are used to track movements in the supply chain and validate them on a real-time basis. This improves the tracking process and results in quicker and efficient transactions. Each parties’ event and actions are captured and validated against the conditions of the contract, which reduces cross checks and counter verifications. Blockchain enables efficiency and agility whenever products, information, ownership, location or payments change hands, by providing trusted, automated transactions without the need for third parties. Improved visibility, reduced risk and greater automation drive down costs, improve timely delivery of goods, reduce wastage, and enable new financial models that could eliminate middlemen. It produces a large amount of authentic data for advanced analytics. Predictive analytics for forecasting demand, predictive pricing and maintenance; identifying and solving problems at an early stage and help in taking an advance precise decision on Procurement, Inbound Logistics, and Fulfilment.